This post is sponsored by Jimmy Dean. 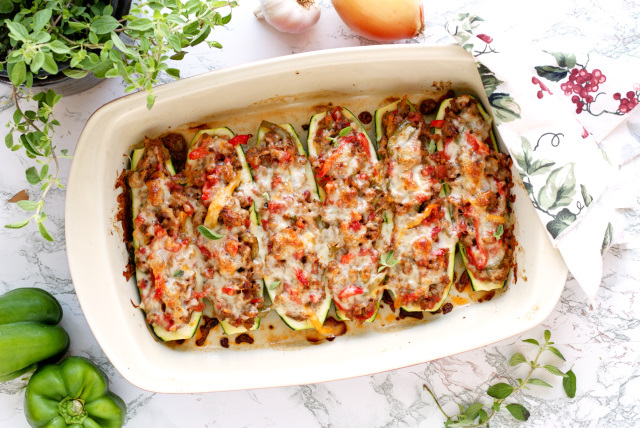 Sausage, Pepper, and Onion Stuffed Zucchini Boats are a twist on the classic northern dish, made by swapping the roll with bright and fresh zucchini boats! I live in Florida. I never wanted to move to Florida. As a matter of fact, when I was a little girl and my parents told me that we would be leaving New Jersey to go live in the sunshine state, I had an opinion on the matter. I said, "Florida is not for vacationing, not for living." 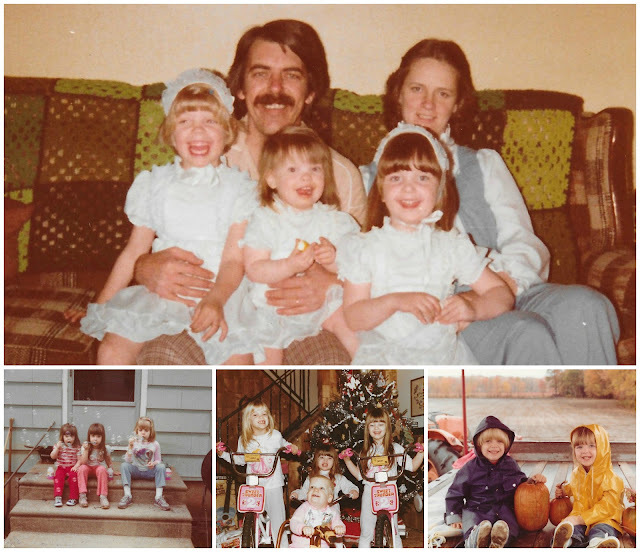 Despite my desire to not leave New Jersey, my parents moved our family across the country anyway. How inconsiderate of them, wouldn't you say? Totally should have listened to the fourth grader, but I digress. Over the years, I've actually come to love living in the south and I'm not sure if I'll ever live back up north as I once thought I would. Moving to a different part of the country has given me the opportunity to appreciate the differences between the two places. And, really, you can't get much different than New Jersey and Florida, am I right? In Florida, we go to the beach and wear flip flops in December. In New Jersey when December rolled around we built snowmen and bundled up under six layers of clothing before even thinking about opening the front door. Truth be told, I can honestly say that, as an adult, I'm pretty okay with not having to thaw my car or shovel a driveway before leaving the house. Maybe I'm lazy. Or maybe I've just had a taste of the tropical life and have seen the light! Ha! Either way, I'll always look back on my time in New Jersey through rose colored glasses. It's funny how certain foods can conjure up memories of a certain time and place. Just the smell of certain Northern authentic foods like cheesesteak hoagies, soft pretzels, and sausage and pepper sandwiches always remind me of the part of my life when I called NJ home. I'm brought back to snowy white Christmases, hayrides with fall colored leaves as our backdrop, and blowing bubbles with my sisters on my grandparents back porch. I think that's why I like to make variations of New Jersey classics so often, they take me back to that chapter of my life that I so fondly remember. I was recently invited to join Jimmy Dean in celebrating the Family Table and, of course, I jumped at the chance! As a little girl, my family always sat down to eat dinner as a family, so Jimmy Dean's Family Table initiative totally speaks to me! Even when we're facing the hecticness of a typical day, nothing beats a great meal that brings the whole family together around the table. For me, some of the best family memories are made when the entire family is gathered together enjoying a delicious meal! I knew right away that I wanted to make a dish in celebration of my childhood memories. Naturally, I was inspired to make a variation of my favorite sausage, peppers, and onion sandwich! 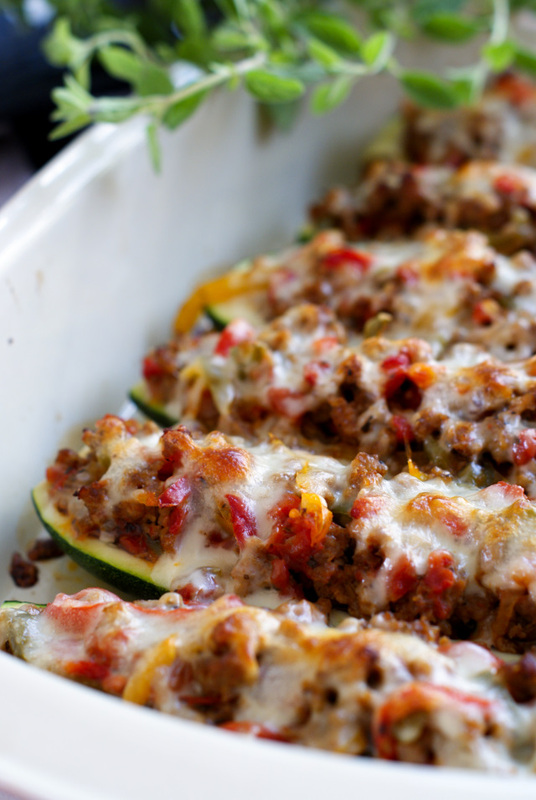 I created a twist on the classic by substituting the roll with beautiful, fresh zucchini boats. I still used the usual Italian sausage, peppers and onions, I just switched out the vessel they're served in. In New Jersey, some establishments give you the option of a little marinara and cheese on your sammie, so I decided to add some tomatoes and cheese to my zucchini boats. I add cheese to pretty much anything I can (cheeseaholic right here), so it only made sense to go that route. The end result was a beautiful, flavorful, easy to prepare dish that my whole family loved! I'm already brainstorming more ways that I can incorporate Jimmy Dean roll sausage into my weeknight dinner planning. As long as Jimmy Dean keeps making their roll sausage, I'm going to keep thinking of ways to make variations of my favorite New Jersey classics. I love that the meals I make can bring me back to a time in my life that I remember so fondly. I equally love that, as I am quietly reminiscing about my past, I am helping to write the storybook of my children's lives with our family dinners around the table. 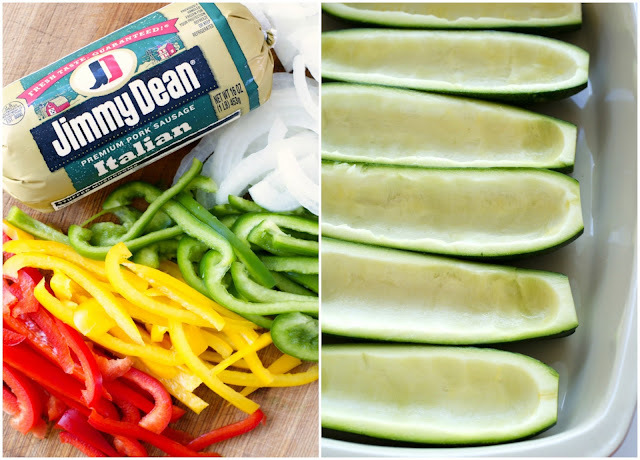 What meals do you make with Jimmy Dean Sausage that bring back memories for you? Whatever they are, I hope they make you smile. 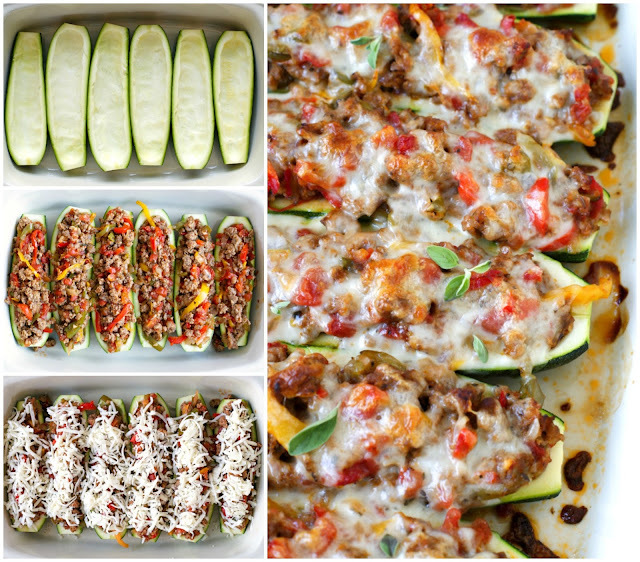 Sausage, Pepper, and Onion Stuffed Zucchini Boats are a twist on the classic northern dish, made by swapping the roll with bright and fresh zucchini boats! 2. Cut zucchini in half lengthwise and use a spoon to hollow it out, leaving 1/4 of the flesh. Place into a large baking dish, cut side up. 3. Brown the sausage in a skillet over medium heat. Remove the sausage from the pan with a slotted spoon and set aside leaving the drippings in the pan. 4. Reduce the heat to medium and add the peppers, onions, garlic, salt, pepper, basil and oregano to the skillet; cook until the peppers and onions are soft, about 7 minutes. Add the tomatoes and sausage to the pan and simmer uncovered for about 10 minutes, stirring frequently. 5. 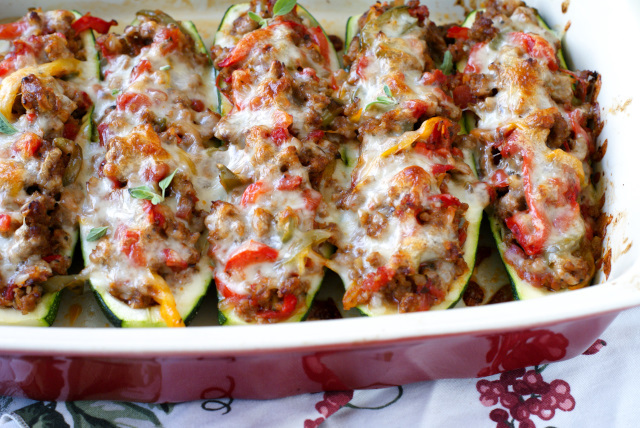 Fill the zucchini with the meat mixture and top with the shredded cheese. Bake in the preheated oven for 30 minutes. 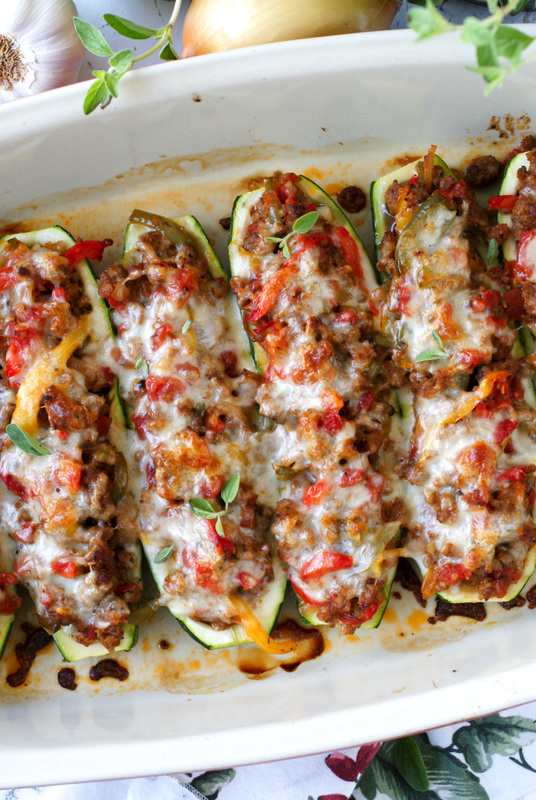 I like my zucchini tender crisp, which is how it will turn out with this preparation. If you like a softer zucchini, boil for 1-2 minutes after scooping out the flesh, then continue with the recipe as written. This post is sponsored by Jimmy Dean. All thoughts and opinions are, as always, 100% my own. How many zucchini should I buy? Three as stated in recipe. I have an amazing zucchini cookie recipe that I used the pulp for. Would also work great in zucchini bread. What do you eat with it? Like what sides do you suggest? I would serve it with a side salad. This recipe was very delicious! My boyfriend said it was the best thing I've ever cooked! This is fantastic! My husband would have me make this every week! Did increase the amount of zucchini. can you sub or omit tomatoes?